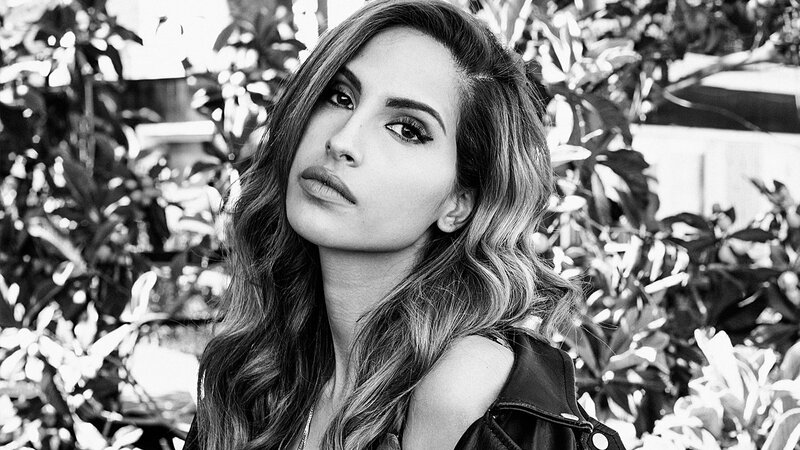 Snoh Aalegra is the rare artist who can tell stories, convey a soothing atmosphere, and express passion to create her own world. Taking influences from Stevie Wonder, Michael Jackson, Lauryn Hill, and many others, Aalegra is able to write music that provides a movie-like experience. Her self-described genre, “Cinematic Soul,” is a mix of R&B, soul, orchestral music, and hip-hop. Aalegra was born and raised in Sweden by Persian parents. She found her love of music at an early age and was signed to a label at the age of 14. Remarkably, she was fortunate enough to have the late Prince as a mentor. From 2013 up until his death, Prince helped the singer shape her artistry and find her individuality. He pushed Aalegra to pursue the independent route in music by leaving her record label. The two were even going to make an album, with Prince handling the production, but unfortunately, he passed away before they could collaborate. Allegra currently has two EPs and an album under her belt. The first EP, There Will Be Sunshine, was released during her time with EPIC Records. With this EP, it seemed that Aalegra was being held back by EPIC from exploring her full potential. Most of the tracks were unremarkable in production. However, the track I found most enjoyable was “Paradise,” in which Aalegra sings about following her own instinct to achieve success. As well, the track “Stockholm, Pt. II (Outro),” is a beautiful track that features the Cocaine ’80s. The track has the same instrumental as the EP’s intro, “Stockholm (Intro).” James Fauntleroy’s vocals accompanied Aalegra in the outro to finish the project. Taking Prince’s advice, Aalegra decided to leave EPIC to pursue her music career independently. Her first release showcases Aalegra’s talents for creating a world in her music. Don’t Explain is a 25-minute film-like project that describes a past relationship. Throughout the EP, we see how Aalegra’s infatuation controls her. In “In Your River,”Aalegra admits that she’s not in love, but continues to feel infatuated by her lover. It’s a constant struggle between deciding to stay or choosing to leave. “Charleville 9200” is a beautiful love song of the couple spending time together, making Aalegra feel like she is in a movie. In the second half of the song, James Fauntleroy comes in to sing from the male perspective. The chemistry between these two artists feels natural and has an intense groove. “Home” is another track about how Aalegra finds comfort in this man, who provides her with a home. We soon, however, see how this infatuation is harmful to Aalegra’s judgment. The title track of the project is a cover of Billie Holiday, singing about ignoring her lover’s infidelity because she wants to enjoy their current moment together. The project is the definition of “Cinematic Soul.” The use of orchestral arrangements provides the cinematic feel that takes the listener on Aalegra’s personal story. Along with mixing the songs with smooth bass lines and hip-hop drums, Aalegra owns this sound. Aalegra was in the process of writing another EP when she realized that she had enough material for her debut album. With around 50 songs in her vault, she decided to combine the potential two EPs into one body of work, titled FEELS. Aalegra shines throughout the project with her soulful vocals providing a dream-like experience over lush production. She took the opportunity to talk about her background in this project instead of focusing on just a relationship. Her most popular song off the album is “Time”, where she discusses the loss of her father and how she wished she could’ve spent more time with him. Many hip-hop fans will recognize this song from when it was sampled for Drake’s 2017 project, More Life, for the track “Do Not Disturb.” The production takes a simple approach, with Aalegra singing about her loss over melancholic chords. The track, “You Keep Me Waiting” takes influences from a classic Motown sound. The song is about a lover whose immaturity makes Aalegra impatient waiting for him to change for her. The guitar riffs, enchanting backing vocals, and an incredible verse from Vic Mensa make this one of my favorite tracks off the album. Even though she has small discography, Aalegra leaves a great impact. I appreciate how she remains true to her sound and after the release of FEELS, and I’m anxious to hear more.